Start 2019 being Green! 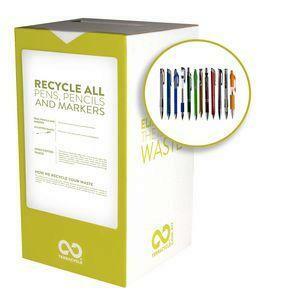 Buy one or two for your office and make sure you recycle pens and pen caps, mechanical pencils, markers and marker caps, permanent markers, and permanent marker caps when they have passed their use by date. Once the box is full head to the post office and the leave the rest to Terracycle.